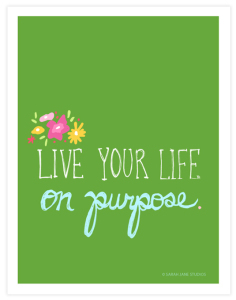 In my journey of living a more heart-driven life, I have started to live on purpose. Living a life on purpose means that moment by moment I dive deep into my heart for inspiration and guidance. I’m not saying I succeed always, but I have learned some simple ways to get me back to my center. I recently purchased some divine, gentle music on Amazon. There are tracks of water flowing and overall peaceful, calming music. I wanted something that could play to my senses and soul while I worked, but not overwhelm or disturb me that I couldn’t work. These tracks are perfect! I also listen to a lot of slow, romantic songs. Sometimes, the songs are deeply emotional. Other times, there is a strong element of sensuality. It all just depends on my mood. I find it allows me to connect to my own femininity, sensuality, and heart. I have a journal where I jot down things I’m thankful for. I try to write in it daily, but truthfully, it doesn’t always happen. Sometimes, I write every other day or a week later. I don’t push myself, whenever I have the time. This one is important. I don’t fill all my time up now with activity or action. I set aside time for me to listen to music, read, watch an episode of The Modern Family, or just nap. Or make a delicious smoothie! I limit my time on my computer and especially social media. Being online and checking my Facebook does not mean I’m always using my time efficiently. I want to get out there and live my life! I love reading stories and take time out to read a novel. I also read a lot of blogs by life coaches. I love reading about new ways to still the mind or connecting to my heart. I also allocate specific time so I can create! I can create a new article, plot for a new novel, or new ideas in general. I’ll light some candles and get into brainstorming and creation mode at my apartment. Other times, I’ll head to a coffee shop to do it. Thank you, Kajal! Lovely to hear from you as usual! Happy New Year to you, too! It’s easy to focus on lack, but if we look around, there are always so many blessings around us. Wow! I’m intrigued. Morning Pages sounds very interesting. Can you tell me more about it? What is it exactly? I’m looking to get into a fluid morning routine to stay more connected.